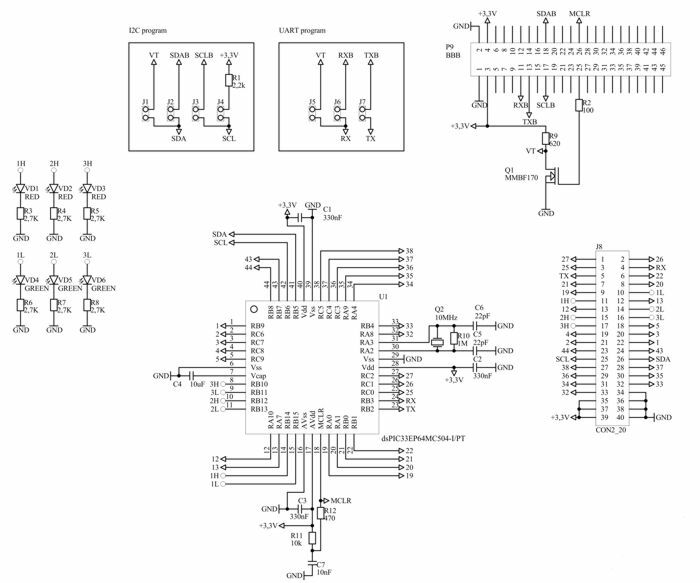 This cape suggests full automatic reprogramming of the embedded dsPIC via the BBB, interactively, on-fly via Internet or any other communication channel. After that the BBB can communicate and control the fully autonomous dsPIC cape PIC4BBB. This is free software for embedding of Microchip dsPIC33EP / PIC24EP in BeagleBone Black. - As you see on the circuit of the cape – dsPIC33EP64MC504 is used. - additional UARTs, SPI, I2C, ECAN and others.